Okay so you show up to to the ball park early to take extra batting practice…. You go to your locker to put on your favorite socks and they’re gone! Where are they? You need them because you’re like every other ball player on the face of the earth! You’re either very superstitious or you’re a creature of habit! Either way you need to find the culprit. You need your lucky socks! Now if you’re Damian Jackson on the other hand and your team-mate is a 20 something year old Manny Ramirez you know exactly who’s guilty! 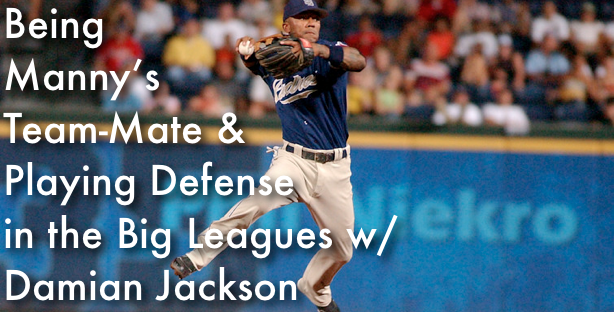 How to be a GREAT defender at the Big League level. Are you looking for some solid advice that will help take your game of baseball to the next level? Well sit back and enjoy the show! Let me know what your biggest take away was in the comment box below! How is your baseball season going? Are you ready for summer baseball?